Supreme Court is reopening today after a long summer vacation which lasted 49 days. Long vacations enjoyed by the Supreme Court judges have always been a topic of debate. The Supreme Court calendar for 2013 indicates that, the Court has 50 days of summer vacation, 6 days of Holi vacation, 6 days of Durga Pooja vacation, 8 days of Diwali vacation and 15 days of Christmas vacation apart from miscellaneous holidays for Ramanavami, Janamashtamai etc. It almost matches with a school calendar. The Court has been following this practice set by the British in Colonial India. Does the Apex Court truly require such long recesses? Opinion is sharply divided. One sect argues that the judges and lawyers who work round the clock need to unwind themselves occasionally. They point out that the real work is not hearing the matters or attending the Court regularly, but the long hours required for studying the cases, preparing notes after scanning the plethora of judgments’ quoted in the course of arguments, the thought process involved in decision making and laying down the law for the country. They further argue that the vacation also gives lawyers a break and time to prepare for their cases. However, this cannot be expected from a judge as a reason to start the Court late. Equally, given the mammoth size of the pendency of matters, the arguments for reducing the vacation days cannot be ignored. If we reduce at least 30 percent of the holidays, on a conservative estimate, the Court would be sitting at least for an extra month, and that would mean a lot in terms of arrears. The size of the Court has not grown proportionate to the amount of litigation the Court is dealing with. Originally, the sanctioned strength of the Supreme Court was 8 including the CJI, today it is 31, and quite obliviously this is not promising. The judge strength is not sufficient and the Court still continues to enjoy holidays as it did in the 1950s. As a result, very often cases are met with unmerited dismissals and thereby a greater filtering takes place at the admission stage itself, of course at the cost of justice. Supreme Court is very reluctant to re-appreciate evidence on a bona-fide belief that the Courts below had rightly done it. Many times, it is done on the basis of faith, rather than facts. It is said that the larger issue that needs to be dealt with is about professional court management. Indian Court system is based more on oral arguments unlike in the US. The arguments lasting for days are more of a general rule than exception. 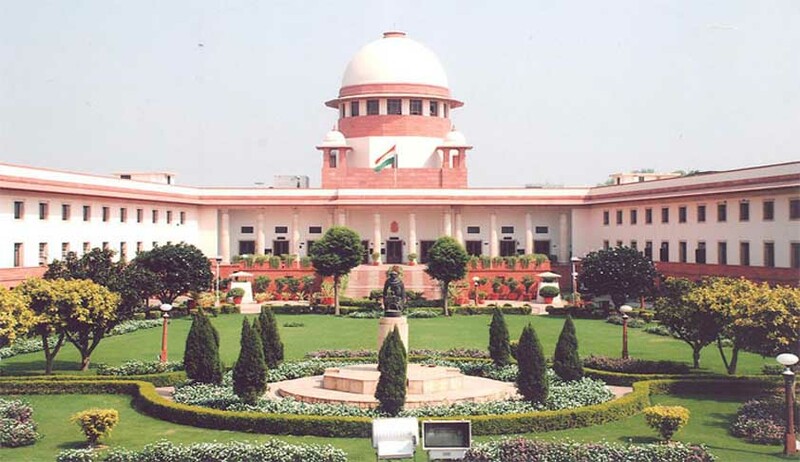 We have seen that the gas dispute between Reliance brothers have taken months of the Court’s time, while many important Constitutional issues have been kept on a back burner. A proper management of resources in the Judiciary can reduce backlog to reasonable extent and ensure speedy justice. Owing to the report of the 13th Finance Commission, professionally qualified Court Managers are being appointed in all the High Courts and District Courts in India and we hope that the situation will improve in the coming days. The advantage of long oral hearings is more beneficial to the senior lawyers. The Seniors’ are able to charge huge amount for appearance owing to the popular belief that Judges give more preference to the Senior Counsels when compared to other lawyers. Many times this is found to be true but there are exceptional Judges, who do not take into consideration the face value of lawyers. In the light of mounting arrears of increasing litigation and faced with criticism, the Supreme Court introduced the system of regular Vacation Courts in recent past. Earlier, there was no such mechanism of Vacation Bench during the holidays. Whenever there is an urgent matter to be heard, the Advocate should approach the concerned Registrar of Supreme Court and inform about the urgency. After seeing the ‘Paperbook’, if the Registrar is convinced of the urgency, he will then mention the matter to the Chief Justice of India (CJI). CJI would then direct a Judge present in Delhi to hear the matter. The hearing would be convened at the official residence of the particular judge. Nowadays, there are regular 1 or 2 Vacation Benches in the Supreme Court during the holidays. The Registry needs to be suitably convinced of the reason for not filing it before the vacations for a matter to be heard by the Vacation Bench. Before the Court closes for the holidays, the Registry will also issue a Vacation list and respective lawyers can choose to attend or not attend their matters, as per their convenience. If any lawyer is not willing to present the matter during vacation, he/she should inform the Registry about the decision and seek the particular matter to be excluded. Once this exercise is over, the Registry will issue a final list to be heard during vacation. Additionally, only certain matters are allowed before the Vacation Bench and certain are specifically excluded. 6. Matters for anticipatory bail and matters filed against orders refusing/granting bail. Interestingly, the Senior Counsels often revise their fee during the vacations. Seniors hike their fee from vacation to vacation as it is a kind of cut off period. This particular reopening is special as the Court gets a new Chief Justice. Justice P Sathasivam will soon take charge as the 40th Chief Justice of India, after the retirement of Justice Altamas Kabir on 18th July, 2013. When the Court reopens there will be a series of high profile cases waiting to be heard including the Coal Block Allocation scam case, CBI Autonomy case, and the Sahara-SEBI dispute. The judgment in the Naz Foundation case is also expected this year before Justice Singhvi retires.